My first experience with fish tacos came when I worked in a restaurant in the Florida Keys. I thought it sounded pretty disgusting, until the day I forced myself to take a bite. Disgust quickly turned into obsession and I found myself always picking fish tacos at restaurants – curious to taste the different ways they were made. I quickly realized that nothing came close to that very first fish taco I ever ate. So, I obviously had no choice but to recreate it at home. 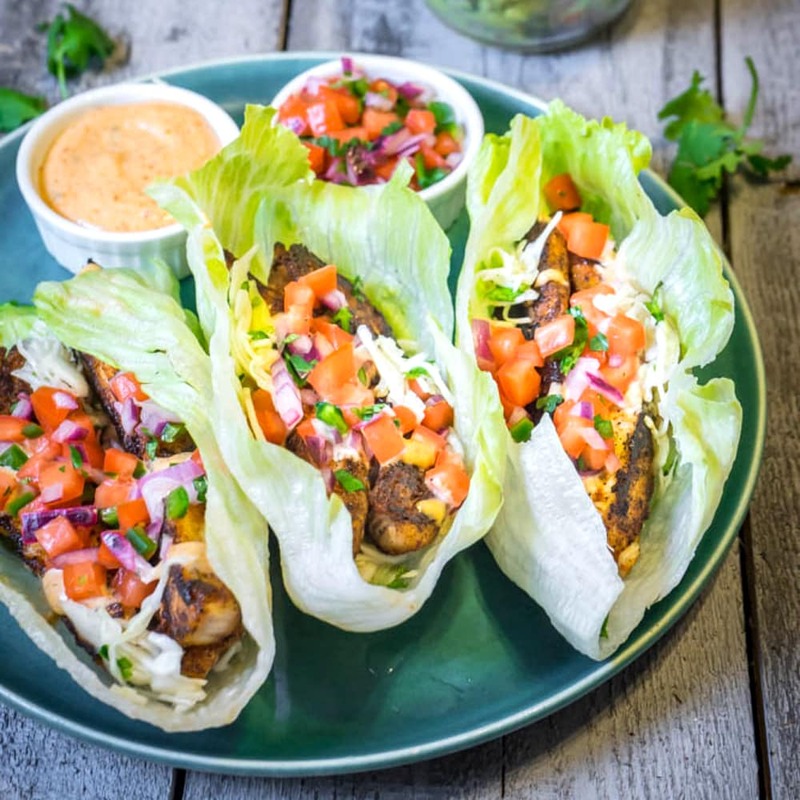 Hence, these colorful, utterly delicious and Chirpy-friendly Blackened Mahi Lettuce Tacos! 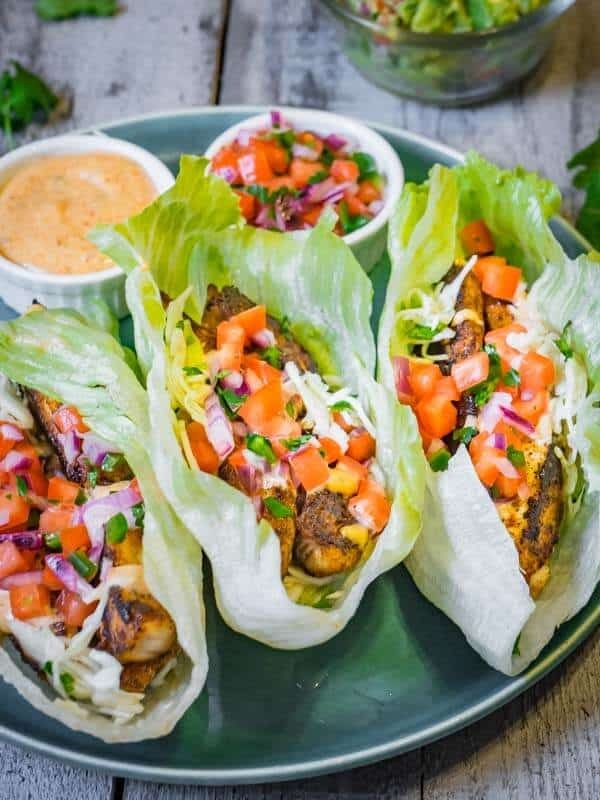 These amazing fish tacos have 5 aspects – crisp iceberg lettuce, succulent blackened Mahi, a crunchy sweet slaw, cajun remoulade and pico de gallo. This is a great example of simple ingredients coming together to create great depth of flavor. The hardest thing to recreate was the Cajun Remoulade, because restaurant spice mixes just can’t be found in your neighborhood grocery store. I think I came pretty close though. It’s sweet and tangy and perfectly complements all the other aspects of the tacos. 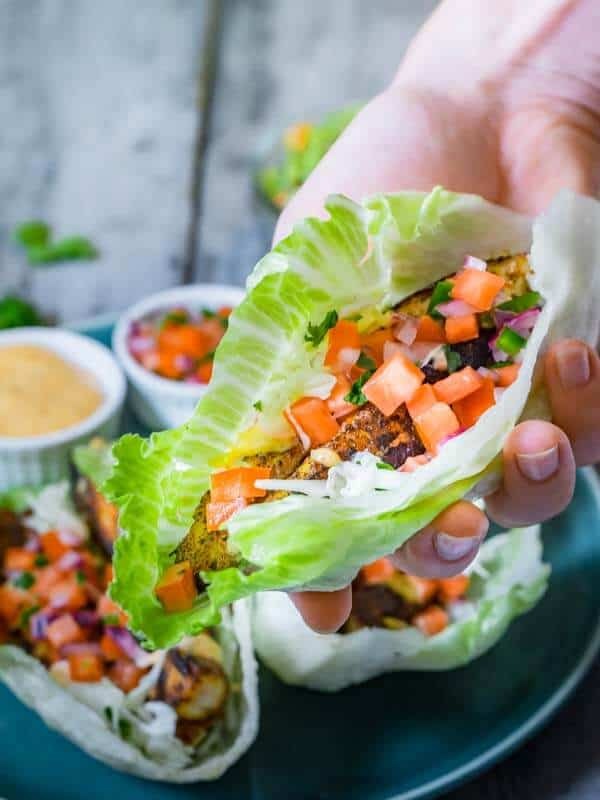 Now, this is the Chirpy low carb version of these fish tacos, but if you’re not into the low carb life, the lettuce wraps can easily be switched for a corn or flour tortilla (to the low carbers – pretend you didn’t just read that). The flavors are great, and if you eat them this way, I’m pretty sure you won’t even miss a real tortilla. This is my way of satisfying my taco craving – and I’d be lying if I said it did a good job. It did a great job. 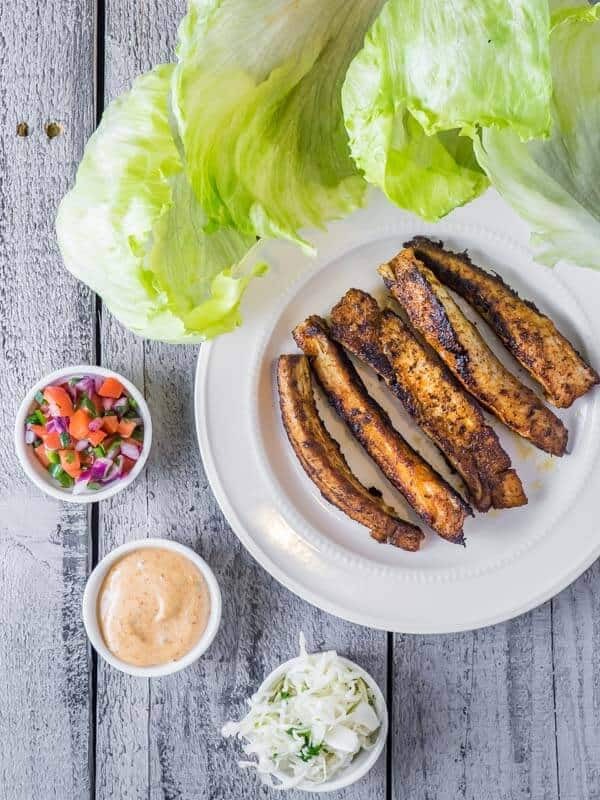 It satisfied the taco craving, but created a whole new Blackened Mahi Lettuce Taco craving in its place. I just can’t seem to win, but I’m not complaining, because healthy cravings are a wonderful thing. 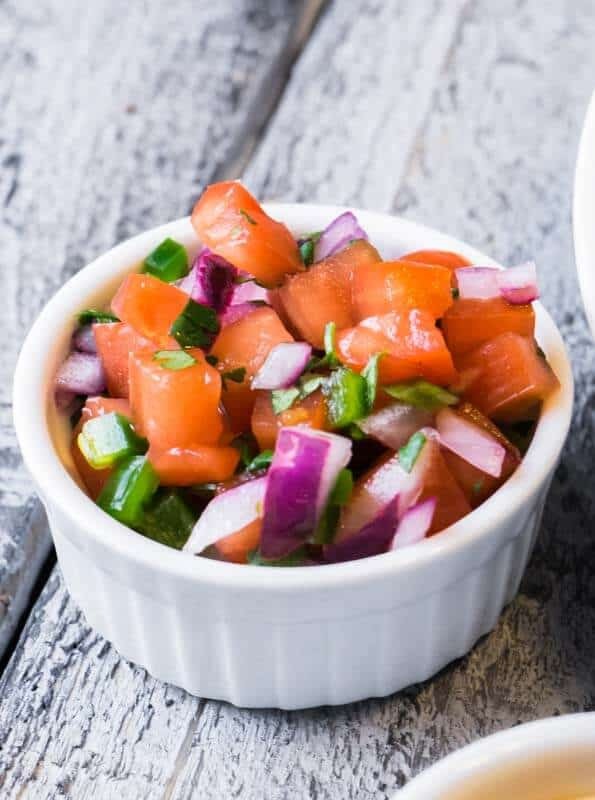 Pico de Gallo: Mix the tomato, red onion, lime juice, half of the cilantro and jalapeño. Season to taste with salt and pepper. Set aside. Cajun Remoulade: Blend together the mayonnaise, cajun seasoning, paprika, honey and capers until completely combined. Set aside. Sweet Slaw: Mix the cabbage, vingear, honey and rest of the cilantro. Set aside. 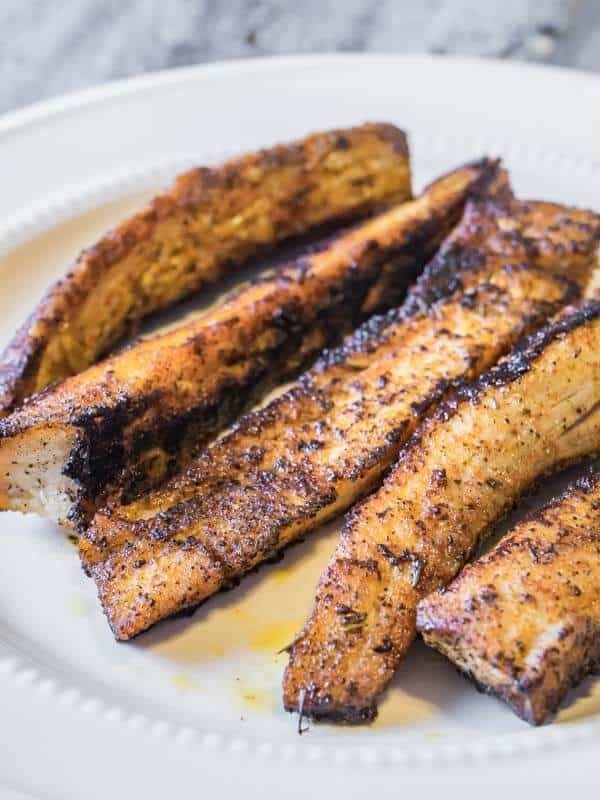 Season the Mahi with blackened seasoning, salt and pepper and sear on a hot pan until cooked - about 4 minutes. Keep turning so each side gets seared. Add two pieces of fish to each of the 4 iceberg shells. 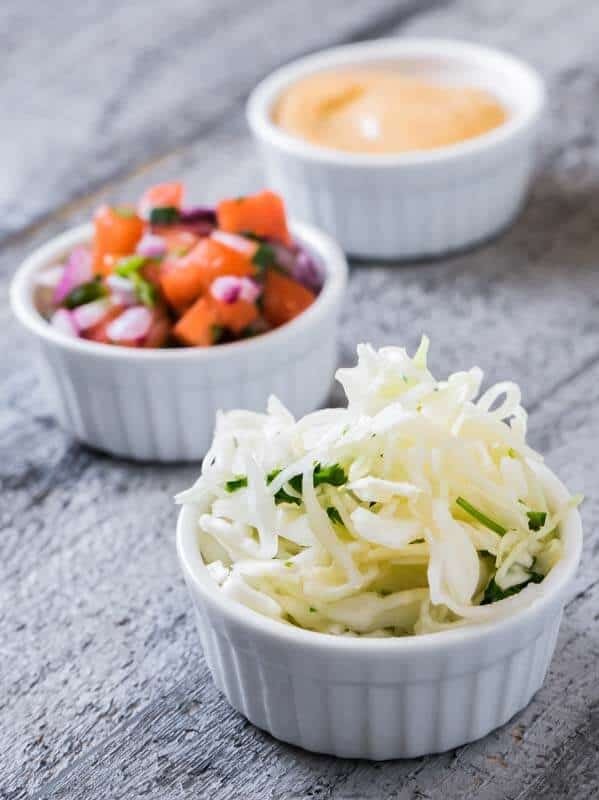 Top with the slaw, pico de gallo and remoulade. 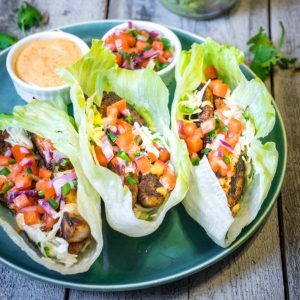 Blackened Mahi Lettuce Tacos -Pin it! 2 Tbl of honey per person in a meal s not low carb. Hi Elle, that’s very true! I checked my notes and seem to have made a typo in the recipe (whoops! ), I’ve fixed it now – thanks for bringing that to my attention! Even with the typo though, my calculation only added up to about 1 tablespoon per person for the meal, which is technically still in the safe zone! The goal with Living Chirpy is to recreate our favorite food in a healthier way, using whole ingredients as far as possible. Not every recipe you find on here will be strict low-carb, as the only carbs we’re worried about is the processed type. Thanks for checking out the blog! We made this tonight and it was amazing! Fresh and packed with flavor! We will definitely make this again. This looks good, but I can’t give it an accurate rating until I make it. That will depend on the nutrition content. Can you please provide the nutrition information for this recipe? It’s important for those of us who are keeping track of those things. 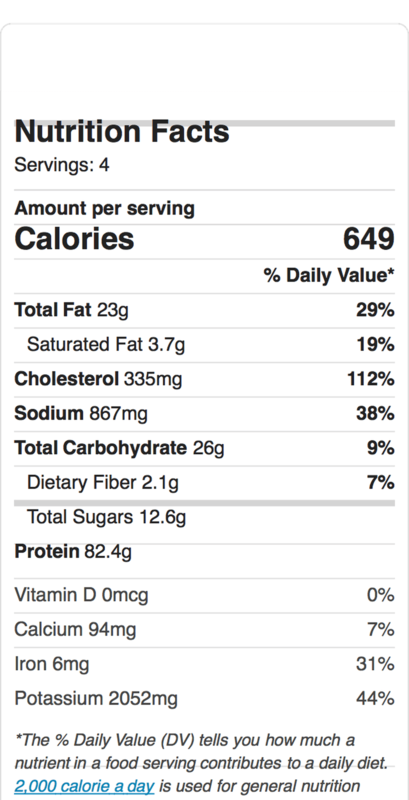 Can we please get the nutrition info? This was so very yummy! I will for sure be making this yummy goodness again.